The hotel boasts 23,415 square feet of meeting space, ballrooms, and conference areas. The casino consists of approximately 50,000 square feet of smoke-free gaming area, fine dining, and an extensive food court. The hotels amenities include a 1,400 seat theater/performance center, a resort style swimming pool area, exercise facility, business center, banquet kitchen, wireless lounge, and extensive interior and exterior water features. Food and beverage facilities include a Don Shula’s American Steak House, Ling and Louie’s Asian Bar and Grill, and five different high end bars and lounges, several featuring live entertainment. The new Wild Horse Pass Hotel and Casino replaced the original Wild Horse Pass casino, which was razed and removed under TynanGroup’s scope of work. 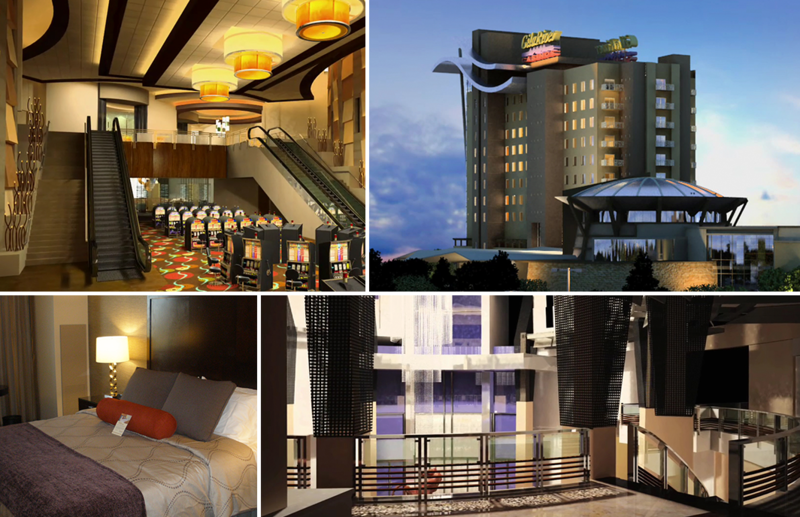 The Wild Horse Pass Hotel and Casino project was delivered on time and on budget. This project is another in a long list of successful projects that TynanGroup has had the honor of managing for the Gila River Indian Community, including the Four Points by Sheraton at Phoenix Mesa Gateway Airport, the award winning 500-room Sheraton Wild Horse Pass Resort, Vee Quiva Hotel and Casino, and Lone Butte Casino.